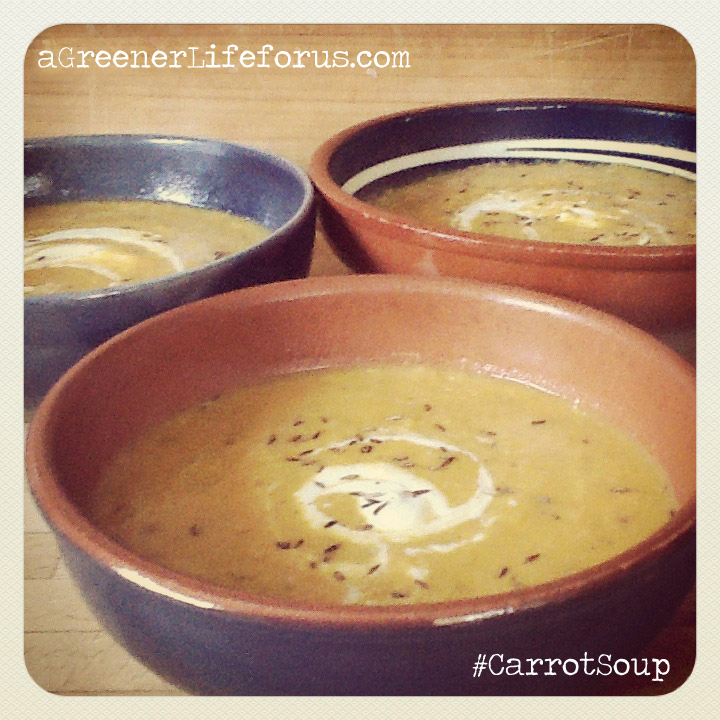 I make this Carrot and Lentil Soup a LOT! 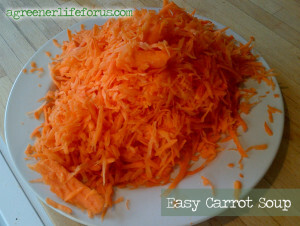 It’s so easy, the kids can make it on their own now, and love it so much that we make double batches, so that they can have it in their flasks for school lunches – good lads… FULL of vitamins, and protein, it’s a great vegetarian option. Heat a large pan and dry-fry the cumin seeds for about a minute. Spoon out about half of the seeds, and set aside. Add the olive oil, grated carrot, lentils, stock and the milk to the pan and gently bring to the boil. Simmer for about 15 mins until the lentils have swollen and softened. Skim any lentil scum off the surface if you need to. 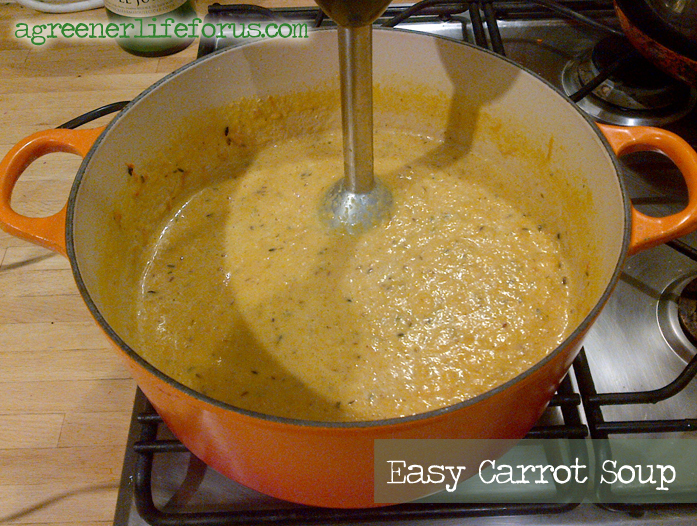 Blend the soup with a hand blender until smooth. Season to taste and finish with a swirl of yogurt and a sprinkling of the reserved toasted spices. Serve with warmed bread rolls or naan breads. Finish off with a homemade cake in a cup!